So was goin to get rid of it as i couldnt find a replacement motor but it was good to scrap so i put a v6 commodore engine in it been like that for about 5 yrs now and made it into a cool little truck and a lot of fun both on the road and in the bush. I've got 2 of them. First one I've had for about 13yrs. 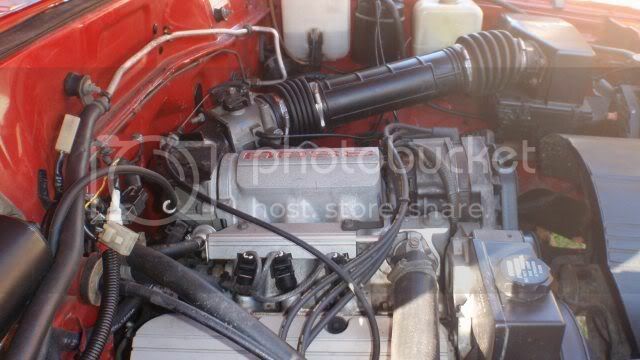 It's a '86 F75 2.8L DL with 340,000km's on the clock. Engine has been rebuilt after one of it's previous owners cooked it. Expensive learning exercise but it just won't die now. Starts first time every time. Second one I've had for about 7yrs. It's a '92 F75 2.8L TDI with 215,00km's on the clock. 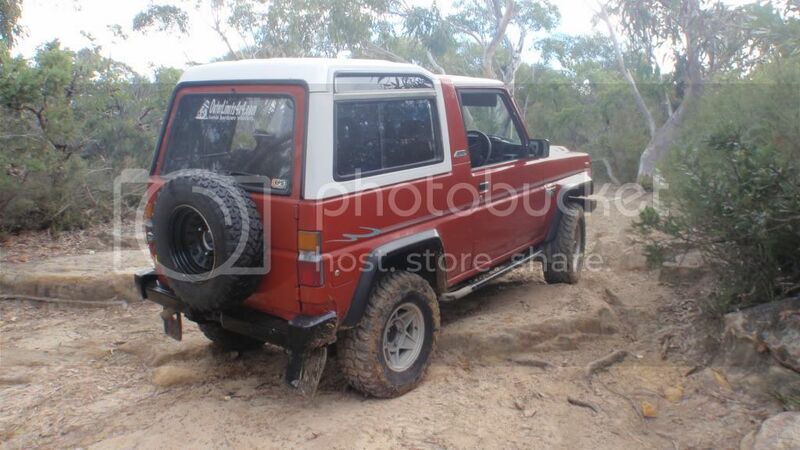 Back seats removed, OT4WD Long Range Tank, Lovells suspension, 31 MTR's and set up for touring. Took my partner and I half way around Australia including Cape Levique and the Gibb River Road. Now looking at Protrack Lockers. Wow that looks so straight! I wish I could find one! Make an offer doin fifo work and its just sitting around doin nothing. I just picked this one up a couple weeks ago as my next project. Mate of mine started it but then bought a Patrol and lost interest in it. Now he is moving away and can't take it with him. I offered him $500 for it and he accepted. The interior needs a major over haul. Body needs a fair bit of work. Motor rebuilt by a friend only 25,000 ks ago. New raw nitro shocks all the way around. I have no idea what I will do to it yet. Last edited by Bill Parks on August 12th, 2013, 4:08 pm, edited 1 time in total. Not bad for 500 bucks mate!! looks like a bit of rust in the roof...pity it's not a diesel..
My 1994 f78 2.8 intercooled Turbo diesel. Re: How many Rocky Owners here? Show us yours?! Got a 94 rocky. Rear diff died, and had to be rebuilt. Otherwise, not a thing wrong. Best off road vehicle I have ever owned. 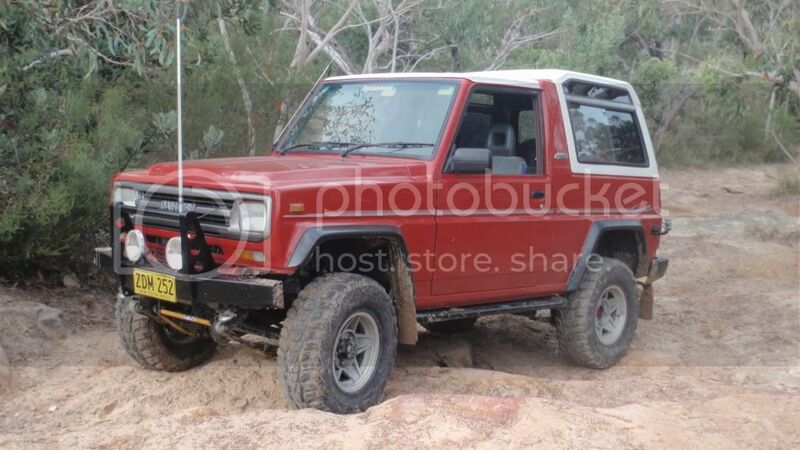 Parts are impossible to find, but not much goes wrong with them so it should be OK. Cant wait to head out bush again soon! Mate the Rockys are a great little truck, pity about the diff. though having it rebuilt did yours have an LSD in the rear and does that mean thats been shimmed and tightened up? that would make it go alright. Yeah mate, LSD in the back. I spoke to the bloke today, and the crown wheel was better than he thought, and it wont need lapping. YAY! Few hundred bucks saved. The reason it went in was because the pinioin bearing shat its self - luckily not far from home. So re-shim, new bearings, seals, drums and pads and install my new brake master cylinder, and I will be unstoppable!